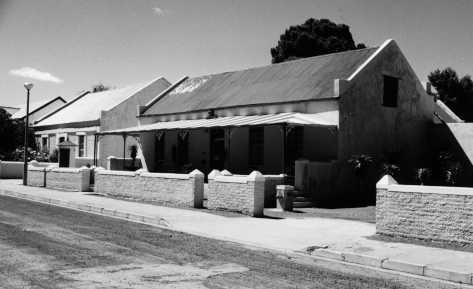 The first white settler to farm at Groenrivier was Nicolaas Loubser who registered the place in 17421. His son, Nicolaas Hendrik, was a wealthy farmer and a hospitable host to Carl Peter Thunberg, Francis Masson and Robert Jacob Gordon amongst others. Gordon mentions Groenrivier as being the farm of “Losper “when he travelled past on 1st January 1779. The first van Reenen at the Cape was Jacob who arrived in 1721. By 1725 he was a burgher and was married to an orphan, Johanna Siekermans who bore him six children. He was married again in 1757 to Maria Elizabeth Louw and had three more children. He died a rich man with an estate of 180 000 guilders in 1764.His eldest child was also called Jacob and was born in 1727. It could have been either of them who registered at least six farms in the Roggeveld in the 1750‟s. The second Jacob was a member of the Burgerraad and lived at Welgelegen in Rondebosch. Some of the sons of the second Jacob also registered farms in the Bokkeveld. Gysbertus was granted Vaderlandserietvalli and Avontuur in 1784 and Sebastiaan Valentyn was granted Klipperivier, Grassberg and Groenrivier around the same time. They were absentee owners. Gysbertus and Sebastiaan‟s elder brother, Johannes Gysbertus, was one of the largest stock farmers in the Cape, raising cattle and sheep on his and his brothers‟ farms, buying from other stock farmers and selling to the Dutch East India Company. In 1789 he was awarded the Government monopoly2 by tendering the lowest price for supplying meat and live sheep to the garrison and visiting Company ships. He was allowed to sell on the open market at a higher, but still regulated, price and at a free price to foreign ships. Although a monopoly, this was a risky business, as a small increase in the price he had to pay would destroy his profit. At times he was not able to honour his slagters briefjes (promissory notes) when the stock farmers came to Cape Town to exchange them for cash. Instead the farmers either had to wait some months for cash or had to exchange the briefjes for goods at the local stores. Van Reenen‟s friends, coincidently, owned some of these stores. It seems that in the late 1780‟s the van Reenens transferred their stock farms to the Eastern Cape, probably due to the better pasturage available there. In 1787 Christiaan Bok registered the farm as “te mogen leggen en wijden op de plaats genamt De Groenrivier in de Hotwegsfontein geleegen over de Doorn Rivier Zynde de velarten plaats aan de Burger Sebastian van Reenen”3. Christiaan Bok arrived in the Cape in 1686 as a Company soldier. The name of his first wife is unknown but in 1713 he married Anna Groothenning from Bengal. The first Christiaan was a farmer and an innkeeper in Rondebosch. His son Michiel, by his first wife, named his first son as tradition dictated afterhis father and it was this Christiaan that started farming in the frontier region of the Northern Cape. He married Maria Cornelia Ryk from Swellengrebelsfontein in 1762. The first farm that has been discovered that was registered to him was Uitkomst below the Tafelberg in the Roggeveld4 in 1761. Later he was at Welbedagt5 in the Agter-Hantam region. Christiaan registered many farms in the Hantam and Bokkeveld areas and three of these were bequeathed to his children in his will6 i.e. “…te Michiel Nicolaas Bok de plaats genamt de Groen Rivier geleegen op t’ Bokkeveld over de Olifants en Doorn Riviers en tien duyzend guilden, en te Maria Johanna Bok de plaats genamt de Vondeling en drie duyzend guilden, en te Elizabeth Cornelia Bok de Diep Cloof geleegen de Hantam over de Olifants en Doorn Riviers en ein duyzend guilden Michiel Nicolaas Bok was married to Johanna Sophia Steenkamp, the sister of Jan Harmse of Bokkefontein, and Groenrivier seems to have passed into the hands of their daughter Jannetjie Sophia Bok, because the first perpetual quitrent grant was given to her husband Jeremias (or Heremias) Cornelis Nieuwoudt. Jeremias (or Heremias) Cornelis was the fourth generation of Nieuwoudts in the Cape. The first was Isaac who arrived in 1716 and was a soldier and surgeon, and was made a burgher in 1723. The following year he married Joanna (Jannetjie) van Wyk the daughter of Willem van Wyk and Catharina (Trijnten) Hillebrandt His grandson Jeremias Cornelis Nieuwoudt farmed in the Olifants River at Kleinfontein and Windhoek (after which the capital of Namibia is named) and two of his sons, Jeremias Cornelis and Issak Albert, married the sisters Johanna (Jannetjie) Sophia and Elizabeth Jacoba Bok in 1808 and 1817 respectively. Johanna died in 1840 at Groenrivier having produced seven children.